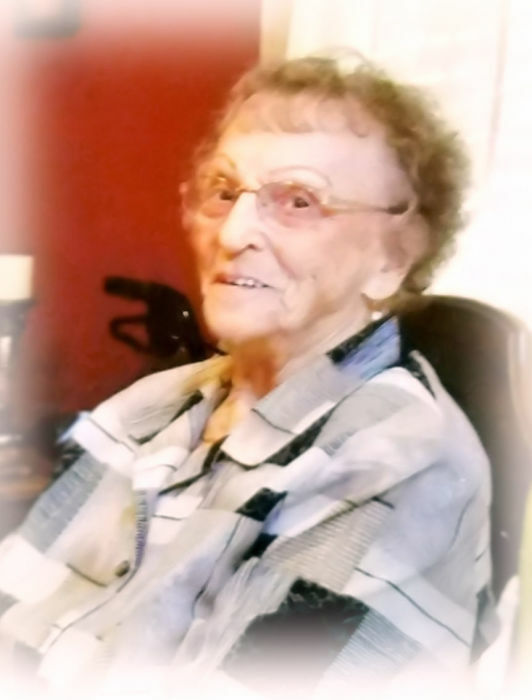 RAMSEY, Grace Lou, 95, of Spring Hill, Florida, passed away Friday, September 7, 2018 at the HPH Hospice Care Center. She was born September 21, 1922 in Brantley, Alabama and came to this area 40 years ago from Vienna, West Virginia. She was a full time homemaker, devoted wife and loving mother. She was a member of Church of God, a former Sunday school teacher and sang in the church choir. She is preceded in death by her husband, Boyd “Frank” Ramsey. She is survived by her sons and daughter-in-law: Billy Wingard of LaBelle, Florida and Matt & Deborah Ramsey of Weeki Wachee, Florida; daughters and sons-in-law: Jeanette “Jan” & Bill Burnett of Spring Hill, Florida and Patricia & Jerry Harris of Cookeville, Tennessee; sisters: Opal Wagner of Maryland and Jean Backes of LaBelle, Florida; 9 grandchildren and 11 great-grandchildren. A Visitation for family and friends will take place from 1:00-2:00pm, Wednesday, September 12, 2018 at Merritt Funeral Home, Spring Hill Chapel, where Funeral Services will begin at 2:00pm, with Reverend Doug Zipperer officiating. Burial will follow at Florida Hills Memorial Gardens.